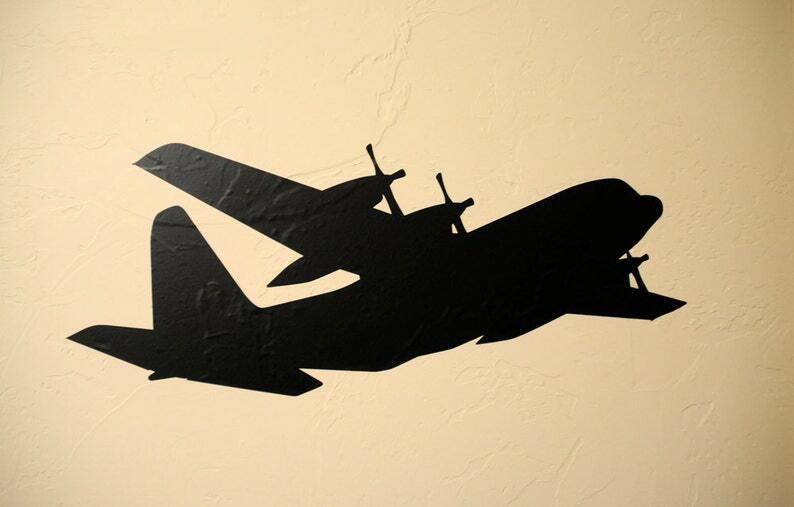 This C130 decal will look great in your kid's room or give to anyone who is a fan of aviation! This fun wall decal gives the illusion of a painted graphic when applied to your wall. This was easy to put up and sticks well to my lightly textured wall. Looks great!